Digiarty Software is looking back on what big things have happened throughout the year. Highlights in 2018 include the new epic release of "VideoProc", the utilization of core technology "Level-3 Hardware Acceleration" in all staple products and much more. Digiarty Software today launches big Christmas sales 2018, offering a massive 55% off WinX DVD Ripper Platinum before Dec.26. The newly-updated DVD ripper supports new Intel/NVIDIA GPU hardware accelerator, rebuilds the video encoding and decoding core, revamps DVD scanning mechanism, etc. Digiarty Software launches the worldwide giveaway of WinX DVD Copy Pro V3.9.0 - a program with 9 backup modes through Nov.30, for the crazy shopping holidays - Thanksgiving, Black Friday, and also Cyber Monday. First-rank DVD ripping software for both Windows (10) and macOS. Bypass all copy protections. 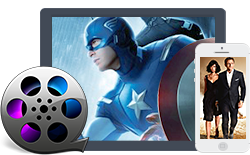 Convert DVDs to MP4, H.264, ISO image, iPhone, iPad and Android. World's only fast (HD/4K) video processing solution that supports full GPU acceleration, 47x faster. convert, edit, download, compress and record videos at one go. WinXDVD's early Black Friday online promotion 2018 sets sail today while deals from many other retailers are just lined up for November 23. The mammoth doorbuster sale features a 75% off Black Friday Special Pack incorporating four full version software programs. Digiarty Software is offering 75% off Halloween coupon for the all-in-one multimedia toolkit bundled with DVD ripper, DVD copier, video processing software, and iPhone file manager. This sale will expire on November 5, 2018. Digiarty Software announces that WinX Free DVD Ripper, one of its star products, reaches 5.8 million downloads as of October 17th. Now the license key of WinX DVD Ripper full version is available. Digiarty Software has replaced WinX HD Video Converter Deluxe with VideoProc - a 4-in-1 combo of video editor, format converter for DVD/video/audio, media downloader and video recorder. Additionally, minor updates will still be pushed to old users of WinX HD Video Converter Deluxe. Digiarty Software pushes out a heartening update on WinX DVD Ripper Platinum, on the heels of Apple Event 2018. The fire new version embraces all the three flag high-end phones such that users can convert any DVD to the iPhone Xs, iPhone Xs Max or iPhone XR supported video file in just a few clicks. Digiarty Software releases WinX MediaTrans V6.0, making it the first real iTunes alternative that performs iPhone-PC file transfer without requiring Apple iTunes, Apple Application Support, or Apple Mobile Device Support. Digiarty Software carries out "Turn Your Old DVD Disc into New Digital Movie File" theme activity, and gives away WinX DVD Ripper Platinum 6-month full license to help revive old scratched DVDs and also digitize new discs. Digiarty Software revamps the kernel of WinX DVD Ripper Platinum V8.8.0 thoroughly with the unique addition of hardware processing, giving great boost on speed while delivering optimal output quality and size. Digiarty Software sharpens up WinX DVD Ripper Platinum with the release of Version 8.8.0, making it the first and the only DVD ripper supporting level-3 hardware acceleration powered by Intel® (QSV) and NVIDIA® (CUDA/NVENC). With hardware processing integrated with hardware encoder and decoder, the speed of DVD to MP4 or other video formats is doubled, reaching 300-500 FPS. Digiarty Software is offering up to 65% off coupon for best-selling WinX DVD Ripper Platinum latest version 8.7.0 and other items for a limited time. This big Christmas sales targeting to global users will last through December 26, 2017. Digiarty Software released another update to its iOS file manager WinX MediaTrans, making it export iPhone HEIC photos and convert HEIC to JPG faster than ever. Digiarty unveils 65% off coupon on tiptop WinX DVD Video Software Pack consisting of all flagship products (incl. in-demand DVD ripper, DVD copy software, HD/4K UHD video converter and iPhone file manager) for 2017 Black Friday and Cyber Monday. 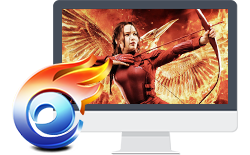 Digiarty Software reforged WinX HD Video Converter Deluxe turning new version V5.11.0 into a faster and steadier QHD and UHD video converter supporting hardware-assisted HEVC encoding, 2K/4K upscaling and downscaling. Digiarty Software issues up to 65% off Halloween coupons for significantly improved WinX DVD Video Software Pack, WinX DVD Ripper Platinum, WinX HD Video Converter Deluxe and more, through October 31, 2017. Today is the day that Digiarty Software updates WinX MediaTrans and makes the Version 4.8 the "future" photo transfer app, tailored to Apple iPhone X, iPhone 8/iPhone 8 X and iOS 11, and on tap for a shotgun blast of new reveals in Apple Keynote cross the board. Dedicated to providing easy iOS file transfer solutions, Digiarty will update its leading iOS transfer software WinX MediaTrans to support iOS 11 unveiled on WWDC 2017 so as to enable users to easily manage and transfer iOS 11 iPhone iPad photos, music, videos, and more. Digiarty Software today excitedly commences its grand 11th anniversary celebration, handing out unlimited copies of all-round WinX 2017 Anniversary Gift Packs at 75% off before May 28th. To celebrate 2017 Easter, Digiarty Software triggers global-oriented giveaway of WinX DVD Ripper Platinum V8.5.0 - the strongest and fastest DVD ripper so far, through April 17. Digiarty Software brings a killer feature - Hardware Acceleration to WinX DVD Ripper Platinum 8.5.0, making it utilize Intel QSV and NVIDIA (CUDA) NVENC on user's computer to accelerate DVD conversion speed to the utmost extent. Digiarty Software revamps WinX DVD Ripper Platinum heavily, making the new version 8.0 support intractable 99-title DVDs, workout DVDs, TV series DVDs and Japanese DVDs flawlessly. Users who already purchased this software can update for free, while interested users can get one at 50% off. Digiarty Software rolls out newly-updated WinX MediaTrans V3.3, making it the first iOS file manager supporting all Apple music, movies and audio books purchased from iTunes Store. Plus, it is open to all to get a copy at 50% off. Digiarty Software's WinX 2017 New Year Gift Pack promotion is onboard, at virtually the lowest storewide price ever. And everyone on the planet can get whopping 80% off gift with no strings attached before Jan.10. Digiarty Software today rolls out its official mega 2016 Christmas deals and giveaway, in the wake of GOTD giveaway of WinX DVD Copy Pro. This activity is accessible for anyone before January 6, 2017. Digiarty Software warms up 2016 Christmas and the around-the-corner New Year with a smashing Christmas gift: up to 75% off license code for WinX DVD Ripper Platinum and software pack. WinXDVD Software rolls out 2016 Black Friday and Cyber Monday deals, offering up to 75% off WinX DVD Video Converter gift pack which includes best-selling DVD ripper, video converter and DVD clone software. Digiarty Software kicks off 2016 massive Thanksgiving giveaway, offering 500 copies of flagship product WinX DVD Ripper Platinum for free each day without strings attached, through December 4. Digiarty Software released WinX MediaTrans V3.2, making it available to add photos from PC to iPhone iPad, delete photos, and create/delete photo albums on iDevice without data loss. With Halloween looming, Digiarty software today kicks off an unconditional and unlimited giveaway of in-demand newly-updated HD video converter as well as top vendors' programs. Digiarty Software rolls out the new version of WinX MediaTrans (3.0) today, adding e-book and ringtone making features to this iOS 10 file manager software. Moreover, it is under giveaway. Digiarty Software begins the giveaway of WinX MediaTrans V2.2 today and lasts until September 15, to greet Apple's two models of iPhone 7 to be released at Apple's Autumnal Event 2016. Digiarty Software kicks off the time-limited deals of WinX MediaTrans for the first time since its release, offering 50% off discount for the easy-to-use iPhone iPad manager. Digiarty Software will announce the official release of WinX MediaTrans on July 13th, Wed., as an utmost easy-to-use iPhone file manager for Windows 10 or earlier. Digiarty today rolls out the 10th anniversary 2nd giveaway, offering free download of full Windows (10) DVD copy software as well as data recovery and computer maintenance software from partners. Digiarty Software is celebrating its anticipated 10-year anniversary featuring an unlimited giveaway of a hardware-accelerated 4K movie downloader and HD video converter, and free solutions of PC speedup, partition managing and more from vendors. After Apple confirmed that QuickTime Player was dead on Windows, Digiarty software quickly provides the solution to keep QuickTime videos playable on Windows computers as usual. Digiarty Software announces today that people can get access to the DVDs of 2016 MTV Movie Awards-winning films and rip these DVDs via WinX DVD Ripper Platinum for personal DVD backup. Digiarty Software turns on the lifetime access to free WinX DVD Ripper Platinum for the first time by spilling coupon codes of both the full and the giveaway versions free in the course of the official Easter giveaway lasting until Apr.4, 2016. Digiarty Software is giving away Windows 10 software pack with the ability to perform video music download, HD video conversion and media playback as special gift for 2016 Valentine's Day. All people can get access to this giveaway from Feb.13 to Feb.29. WinXDVD.com, in collaboration with Giveaway of the Day, offers full licensed copies of a powerful hardware-accelerated 4K video converter - WinX HD Video Converter Deluxe unconditionally from Jan.17 to Jan.25, 2016. Digiarty Software is officially taking its steps toward Christmas deals and giving away in-demand WinX DVD Ripper Platinum just before December 20, for the very first and last time the whole year. Reportedly 3 to 5 times faster than a boatload of its competitors, this Windows-based program is eating up a bigger market share.